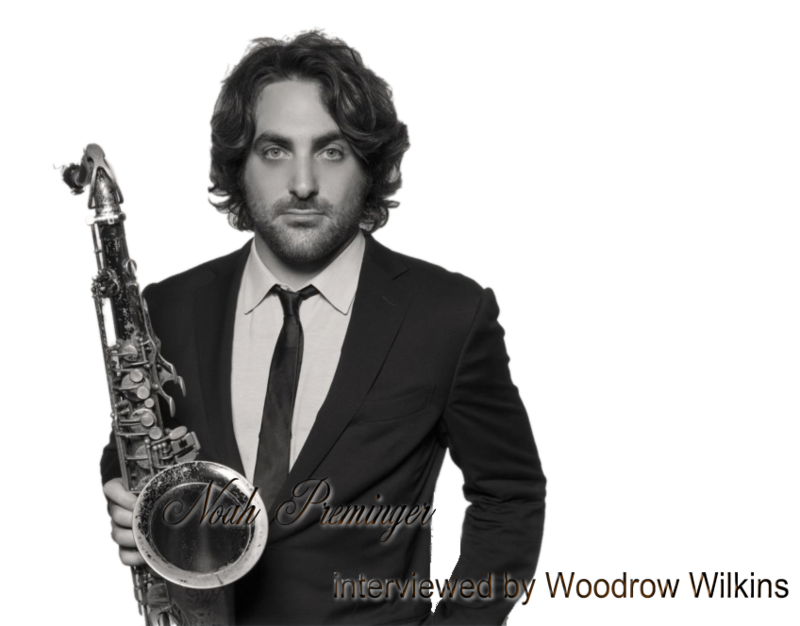 On the heels of back-to-back releases rooted in the blues of the Mississippi Delta, Pivot – Live at the 55 Bar,” and “”Dark Was the Night, Cold Was the Ground,” saxophonist Noah Preminger makes a different kind of statement. “Meditations on Freedom” is part reaction to the 2016 election of a billionaire who had no political experience, a limited attention span and a knack for stirring the emotions of people who are fearful, angry or prejudiced against one or more ethnic groups. It’s also a call for those who believe in freedom, democracy and progress over regress to keep going, not give up. Preminger spent a few minutes talking about the project. WW: Interesting statement you're making with this new recording. Tell us when the idea started to take shape. What had just happened and what were your immediate thoughts? NP: I’d been talking to Jimmy Katz one day, and we talk most days. The amazing engineer, photographer and a great friend of mine. And we spoke often about politics, and he said, “One day, I think you should make sort of a protest album.” It was right when Trump was elected. Two weeks after that we already had a recording date. WW: The titles of your original songs are pretty self-explanatory. But talk a little about the other selections. How you went about choosing them. NP: I did some research on the songwriters, the protest songs they’d written. I settled on these four because I like the message they were sending, and I like the melodies were very clear, and I felt like they would be easy to adapt with the band, to use as kind of a springboard to improvise. WW: Bruce Hornsby's “The Way It Is” was a big hit in part because of its catchy beat, the acoustic piano and of course some very state-of-the-world lyrics. But you took that catchiness out of it and turned it on its head. NP: (Laughs) Yeah I mean, that “doo-doo-dah, doo-doo-dah, doo-doo-dah,” that phrase. That song was so obvious to me when I heard it. This song should be swinging. I know Tupac recorded it. I use it as a sample. I think we took that same message when we played it. We play that pretty straight up. WW: Noah, I want to switch gears for a moment. Your previous releases are rooted in the blues that emerged out of the Mississippi Delta. What's your experience and how does this music relate to you? NP: Basically, I stopped listening to music in my spare time for pleasure around nine or 10 years ago, except occasionally I listen to some blues music from your region. A lot of the music there is singing and solo guitar. That’s my favorite because the phrasing is so unique. I love it because of its honesty, and its intense emotional depth. It’s really depressing, a lot of it, but it’s intense. Photographers record war scenes, and they say it’s the most intense emotions you can get. WW: And finally, is there a connection, a bridge between the conditions that gave this music life and the situation represented by “Meditations on Freedom”? NP: Aw man it’s like desperation. That blues music is desperate. It’s not something I’ve experienced myself, like the men and women in Mississippi. The horrendous lives that they had. As a musician, I can draw from that, and these current events. I feel like that’s part of my mission, to spread the word, and tell my own individual stories. Racial injustice, climate change, and all these important issues. “Meditations on Freedom” was recorded, live on the studio floor with no edits, by engineer Jimmy Katz. Preminger has performed on stages from Boston and New York to Europe and Australia, playing with a wide range of jazz greats including Dave Liebman, Dave Holland, Fred Hersch, John and Bucky Pizzarelli and many others. A native of Canton, Connecticut, he has released six albums as a leader.